Editor’s Note: This post is a part of our Election Month at Patheos feature. Patheos was designed to present the world’s most compelling conversations on life’s most important questions. Please join the Facebook following for our new News and Politics Channel — and check back throughout the month for more commentary on Election 2012. Please use hashtag #PatheosElection on Twitter. This week’s question in Patheos’s run up to the election is, Does a candidate’s faith really matter? I say, yes, of course it matters. I have once again been removed from the Evangelical Channel at Patheos, even though from the time I started blogging here, I asked to be cross-listed on both the Evangelical and Progressive Christian channels. I don’t know why that is. But I think this post is another case of where I break with most of my progressive colleagues and side with my evangelical friends. Although, to be honest, I may be to the “right” of many evangelicals on this. It seems that after years of decrying the Church of Jesus Christ of Latter-Day Saints as a cult, everyone from Billy Graham to Robert Jeffress is willing to put that aside in order to vote for a candidate who shares their ideology, if not their theology. That’s fine. I do not think that religion should necessarily be a deciding factor in choosing a candidate. But of course it should be significant factor. If, for instance, you think that a presidential candidate is a long-time member of a cult, then that could very well lead you to vote for the other candidate. What it should probably not do, however, is lead you to reconsider whether that candidate’s religion is a cult — that determination should be made independently of the current election cycle. What if you found out that a candidate lived in the compound of the Bhagwan Shree Rajneesh in the 1980s or or David Koresh in the 1990s? That would likely lead you to wonder about that candidate’s judgment. Or how about if a candidate for the vice presidency had someone pray over her against witchcraft? What about a candidate for the U.S. Senate who “dabbled in witchcraft“? Of course these things matter, for they tell us something about a candidate’s judgment. Does dabbling in witchcraft in high school or college disqualify a candidate? Not for me, but it might for you. Does currently belonging to a cult disqualify someone from the presidency? It probably should. And in this way, I think that Warren Smith is more honest than Billy Graham. The former says that a Romney presidency would be “dangerous;” the latter removed all mentions of Mormonism being a cult from his website. I personally do not think that the LDS Church is a cult. Neither do I think it’s Christian. I think it is a distinct religion, birthed out of Christianity. As I’ve written before about Mormonism, I think that the LDS Church demands a higher level of irrational beliefs and bizarre practices than orthodox Christianity. All religions demand a certain level of irrationality and odd practice; some more than others. It’s a subjective judgment, indeed, but one that I’m willing to make. To me, these aspects of a candidate’s faith and practice (or non-faith and lack of practice) matter. 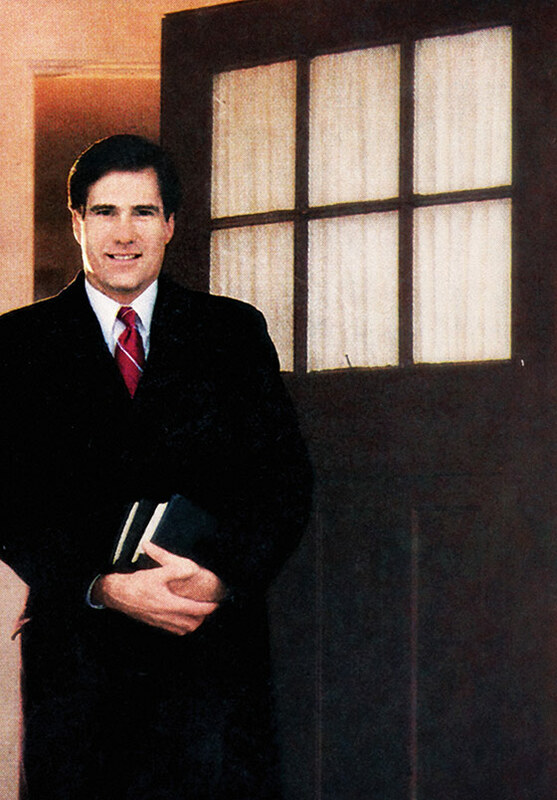 It doesn’t disqualify Romney or any other Mormon from elected office, but it does play a role in my decision-making process as we approach election day. Don't miss a post! Enter your email address to receive Tony's blog posts in your inbox.